One of the most popular bands in Sweden and the winner of Melodifestivalen-2007 - The Ark is finishing its existance next year. Earlier last Autumn The Ark shocked their fans by news that in 2010 they will release their greatest hits compilation "Arkeology" on February 23rd containing two new songs "Breaking Up With God" and "The Apocalypse Is Over", will go on tour during Spring-Summer and will break up. Explanation of this solution was their wish to go further and make something new and grow more but apart. Vocalist Ola Salo currently doesn't have any plans for his future, recently becoming father he sees himself only in this role for now but he's not going to end up with music completely. 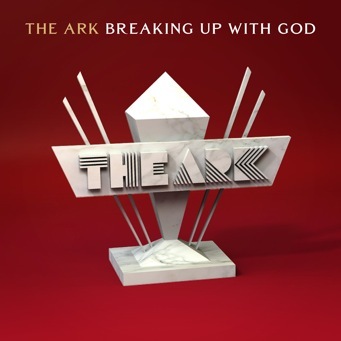 Tomorrow The Ark will release their single "Breaking Up With God" - nice pop-rock radio-track sounding like sharp and epic U2's "Beautiful Day" softened being painted with glam bright colours of The Ark. Below you can listen to "Breaking Up With God" and check tracklist of "Arkeology". Sorry Liza but we keep it legal here and don't share links to music on blog.